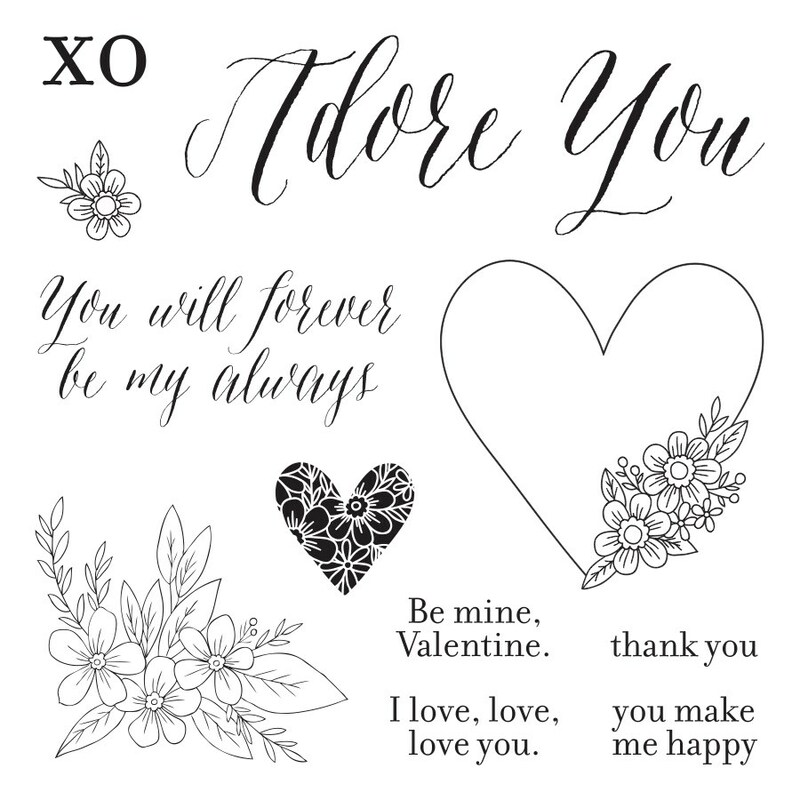 I so love the January Stamp of the Month, Adore You. 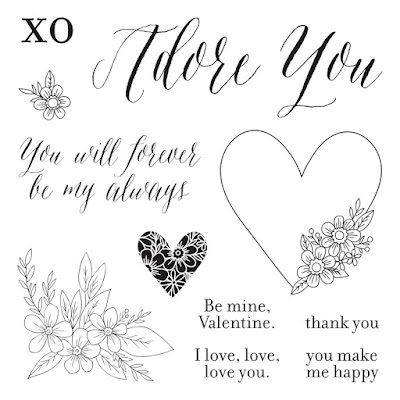 The flowers are pretty, the details in the small heart, the font in the sentiments - it's all gorgeous! 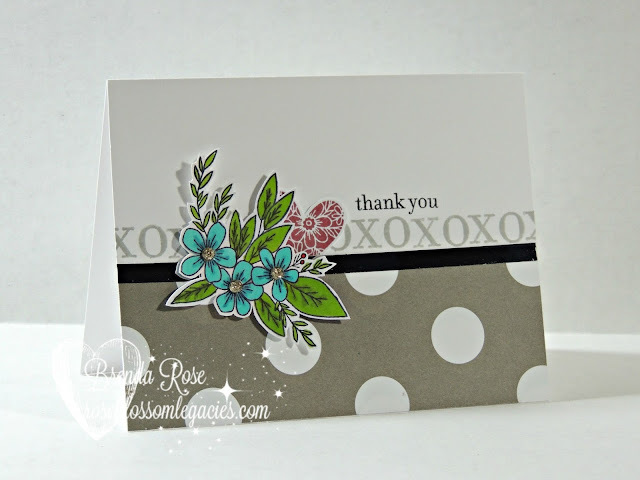 I stamped the large floral piece with Memento ink and then colored with with Shinhan Markers. I used Leaf Green and Turquoise Blue for the flowers. I brought out my micro-tips and fussy cut the arrangement. (TIP: For tight cutting like this, I highly recommend out micro-tip scissors!) The large dot paper is from Uptown Fundamentals, and I've used a bit of silver foil tape across the front. I stamped the heart with pomegranate ink. I love the mixed fonts in the sentiments! The stamp of the month is always $5 with a $50 purchase. Adore You is only available in January!